My Guys Moving & Storage assisted Operation Homefront with their Back-to-School Brigade that prepares military children as they head back to school by providing them with backpacks and essential school supplies, as well as the opportunity to meet with a variety of vendors from tutors to nutritionists. 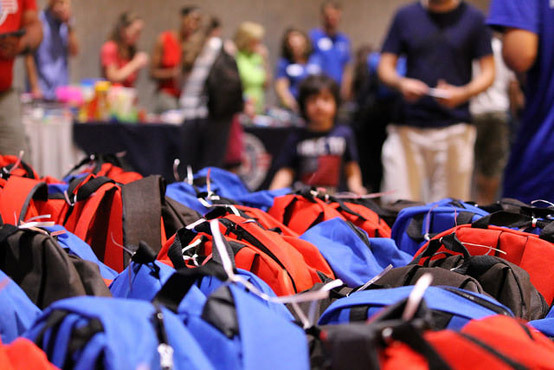 Over 750 military families in the DC Metro Area were helped by this year’s event, which exceeded expectations. Donations from community sponsors such as Dollar Tree and many others filled a 26′ moving truck. The 8000+ backpacks and school supplies were moved by My Guys Moving from Operation Homefront’s staging location in Sterling, VA to the Hilton Hotel in Springfield, Virginia.